LEPOLAM WICHROWSCY SP. J., Driers, industrial, Reinforced plastics - moulding, Plastic material processing, on EUROPAGES. EUROPAGES > Driers, industrial > LEPOLAM WICHROWSCY SP. J. We adapt the technology and dimensions of our equipment to meet customer requirements. As a company with just over 25 years' experience in plastic processing technologies, we manufacture all our controllers and electronic components using our own equipment. Both our drying system and our furnace are developed and made in Poland. 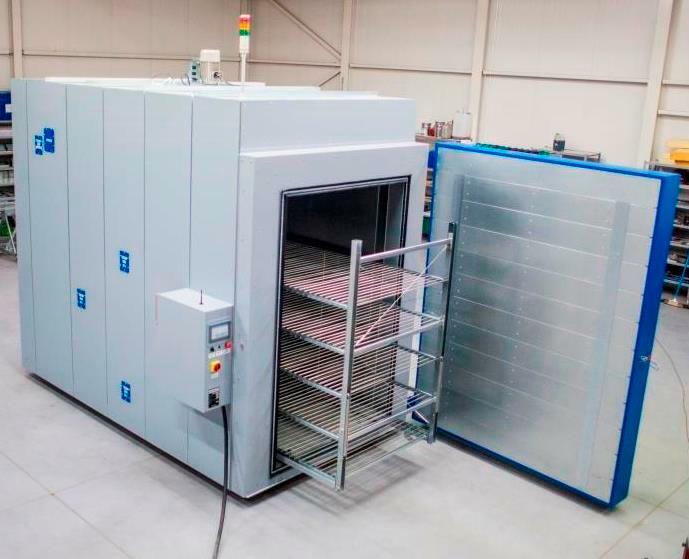 Our equipment stands out for its closed air-circulating drying system, which consumes 18 times less electrical energy. Having better control over the entire warming process means the system is more economical and more environmentally friendly. Our systems incorporate an additional layer of safety, protecting the parts to be heated from the risk of overheating if a functional element fails. Furthermore, being responsible for the entire production of the equipment, we can make sure that worn assemblies are replaced quickly.